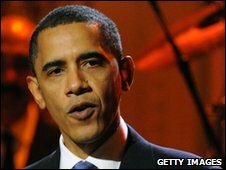 President Barack Obama has signed a law increasing the limit on how much the US government can borrow. The debt limit was raised to $14.3 trillion (£9.1tn) from $12.4tn, and will allow the government to function for the rest of the year. Mr Obama also approved legislation that requires new spending to be offset with cuts elsewhere. He is seeking to address the record US budget deficit, which is predicted to reach $1.56tn this year. The "pay-as-you-go" or "paygo" rule was in place in the 1990s - the last time there was a federal budget surplus. The House of Representatives passed the debt limit bill last week, sending it to the White House for the president's signature. The US Treasury was expected to exceed the current $12.4tn debt limit within weeks. Failure to raise the limit would have roiled financial markets.